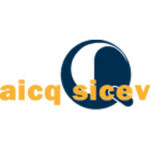 AICQ SICEV S.r.l. is an independent Certification Body accredited by ACCREDIA (Italian Accreditation Body) for the certification of professionals in the field of Management Systems (ISO Standards) and Professional (Law 4/2013 e Legislative Decree 13/2013 + ISO-UNI). AICQ SICEV Srl performs certification activities in accordance with European and International standards concerning principles of independence, impartiality and technical competence. AICQ SICEV Srl performs conformity assessment activities (laws requirements specifications/technical rules) related to the acknowledgment, maintenance and promotion of professional competencies in order to increase competitiveness and to encourage technical and economic progress promoting the free circulation of people.